As the CEO, owner, executive or stakeholder, you want to try and run a business as smoothly and efficiently as possible. 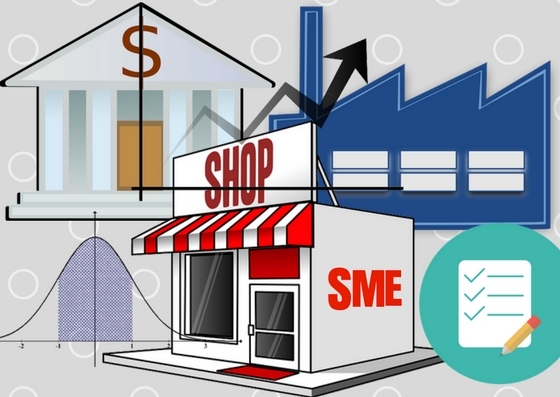 In order to do this, an SME needs to follow certain best practices in every business process you have in your workflow. You don’t have to reinvent the wheel here, because there are standardized procedures that you can simply implement step by step. In order to be competitive, your process must be more efficient than your competitors. Do a proper competitor analysis that lays out the business processes of each of your main competitors. Pick the most efficient processes of each competitor as your benchmark, and make changes to your process based on that benchmark. For example, Evoma OMR, located in a nice and lovely lakeside corner close to Whitefield, has been and is arguably the best business center in Bangalore. It’s part of a 4-star luxury hotel, and provides an extremely professional working environment, services and facilities for SMEs that are beyond the growth curve and want to break into the big leagues. But the BHIVE Workspace has been much more competitive in terms of attracting startups and filling seats. So we did a little competitor analysis to find out what they’re doing, what Regus, Novel Team, Awfis and Instaoffice and others are doing that we are missing out on. Turns out BHIVE is not selling real estate. Instead, they provide a forum and an event venue for startups and startup clubs to meet – it’s a meetup space where startup founders come to learn about how to run and grow startups, new technologies, trends and meet the experts, investors and mentors who can guide them. There are standards for everything from quality control (ISO) to lean business (Six Sigma), and environment-friendly practices (IGBC), all of which we’ll see below. But let’s start with HR, which is really the most key business process that must be standardized, since the people you hire are your most valuable asset. How do you standardize your recruitment and hiring process? Learn from the Sales Acceleration Formula, a bestelling book written by sales scientist Mark Roberge. He was Hubspot’s first sales hire, and grew his sales team by standardizing the sales process as well as hiring. By the time he was moved up to CRO, Hubspot had already grown from $0 to $100 million. Read the book to learn how you can build a team to match business growth using a precise and scientific process. Every business process carries a certain amount of risk. This you can mitigate or eliminate by tweaking your process, or by transferring the risk to a third-party such as insurance providers. If you’re an SME or startup, take a look at the types of business insurance you need, along with affordable group health benefit plans for your employees. As an SME or startup or even a micro-business, you may not feel the need for a full-scale ERP solution. Granted that SAP or Oracle are more expensive than your usual office or accounting software. But the returns – the ROI of implementing an Enterprise Resource Planning system for your business are huge. Oracle research, published as Nucleus ROI case studies, show that the average returns from ERP have increased to $7.23 for every dollar spent. It’s not just that ERP will automate a lot of the processes. The key benefit is that the modules – Production Planning, Materials Management, Sales & Marketing, Finance & Accounting, Inventory, etc. need to be customized. This customization is actually a mapping of your entire business process into the system, and you can ensure that every process in each module is properly linked so that the workflow flows through the system as it did before you implemented ERP. It makes the entire process incredibly more efficient, leading to an ROI of more than $7 for every dollar you spend. Just in Time is a methodology for fulfilling orders as small parts or quantities of a larger order, as and when needed by the customer. So if Chef Zaki at The Courtyard Restaurant at Evoma orders some of the ingredients needed for a healthy breakfast recipe, it may be an order for 6 months’ worth of ingredients that are delivered as needed weekly or even daily – fresh polutry and vegetables in the morning, or a while week’s worth for a wedding or conference. The advantage of JIT, apart from freshness, is that it saves you from doing inventory, and you may also be able to take advantage of lower prices negotiated in advance and in bulk. If you’re not familiar with lean management, see our previous post on what is a lean startup. You can also join a training course to get Lean Six Sigma Certification that will help you better understand the opportunities for process improvement. ISO 9001 is one of the world’s most famous industry standards that has made it easy for any and all SMEs to standardize their quality control processes. So just talk to an ISO consultant, prepare for the audit, and start stamping your products, packaging and your marketing material with the ISO certification logo. We already talked to the Indian Green Building Council to find out how an SME can get green certification. 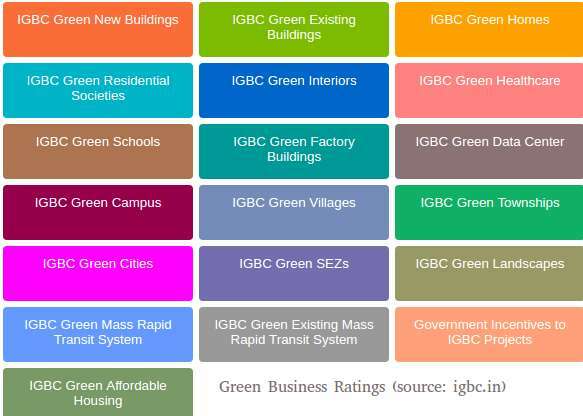 Read this post on the IGBC certification process, costs, ratings system and other details, including the benefits of going green as an SME. SWOT is an acronym for strengths, weaknesses, opportunities and threats. Refer back to the example given in the competitor analysis above, and that’s pretty much what you should be doing. But if you wish to standardize your SWOT analysis, see this set of 6 SWOT analysis examples from Bplans. Last, but probably the most important from the point of view of how valuable your business and company are to your society, is corporate social responsibility. Publish an annual CSR report of what your company is doing, how you did it, and what progress you made against milestones or targets that you were aiming for. For example, one of the goals could be to make your business 100% reliant on clean energy, which would be achievable if you seek green business certification from the IGBC. You could list what kind of charity and/or volunteer work your company and employees have participated in and contributed to. As an SME, you could spotlight the new startups and innovative solutions and research that your business has supported. How many jobs were created as a result of your operations, how much new investment and spending was done, and what was the total annual economic impact of your business on your city and state.